Through the implementation and operation of relevant programs of opportunity, exposure, and experience, the mission of VSTAR is to elevate female youth, providing them with the necessary skills, developmental tools, and knowledge, all based on initiatives through the VSTAR Dance Component, Mentoring Group, and Charm School. VSTAR is committed to equipping female youth with the tools to achieve their goals and become successful in every endeavor of life. 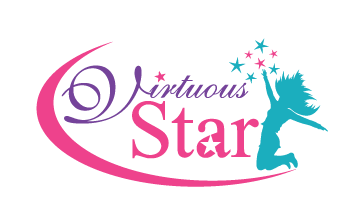 VSTAR is a Non- Profit Organization geared towards establishing “Virtuous Sophisticated Talented Amazingly Remarkable female youth,” by equipping females with vital characteristics to enhance their quality of life. Essentially, through the investment in female youth,VSTAR focuses on developing energetic, strong, hardworking, royally dressed, dignified, fearless, wise, kind, and positive female identities. Through the VSTAR Dance component, Mentoring Group, and Charm School we provide awareness about life, education, and professionalism; our spiritual mission is to create a woman of worth, wealth,and wisdom.“Reward her for all she has done. Let her deeds publicly declare her praise” (Proverbs 31:21).